At Core Precision Interlock Inc, we believe that strong collaboration with the customer is the prime ingredient of our success. Landscaping plays a vital role by enhancing the overall curb appeal of your home. A nicely planned landscape will not only make the exterior of your home look much more beautiful but will also increase the value of your home. Our Landscaping services is your number one choice in Nobleton as our team of professional and experienced staff always help our customers realize their dreams. When designing and building a pool deck we always take into consideration the style the customer is looking to get from their outdoor living space. Our pool decks are built to last a very long time with minimal maintenance. We only use high quality building materials which will ensure our customers that their job will remain strong and look great for many years to come. We strive to provide the best pool decks in the landscape design industry. Your driveway landscaping should blend in seamlessly with the overall architectural design of your home. A custom driveway gives your guest a positive first impression which is a great way to distinguish your home from your neighbors. 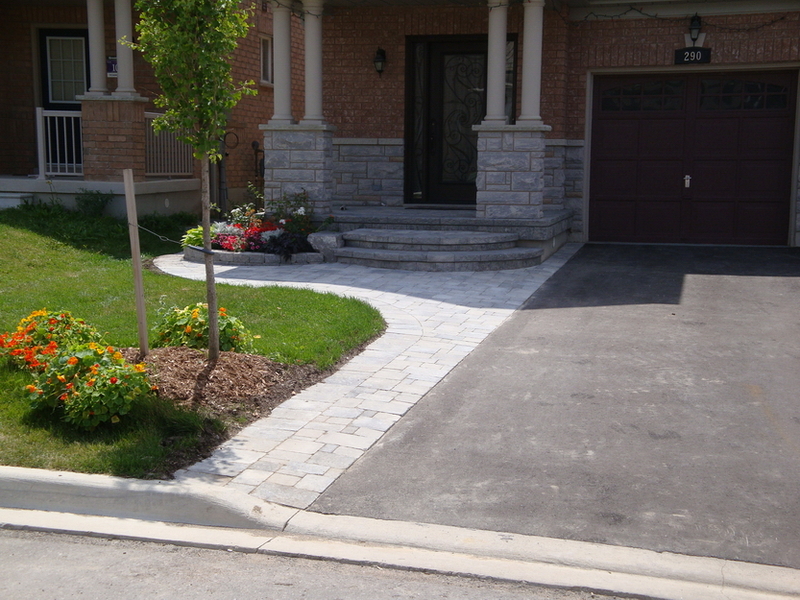 Our Nobleton based company is focused on providing the best interlocking driveways. Interlocking provides a high degree of character and aesthetic upgrade to your home. A well thought out backyard landscape design can give your home the look and style you have always wanted. 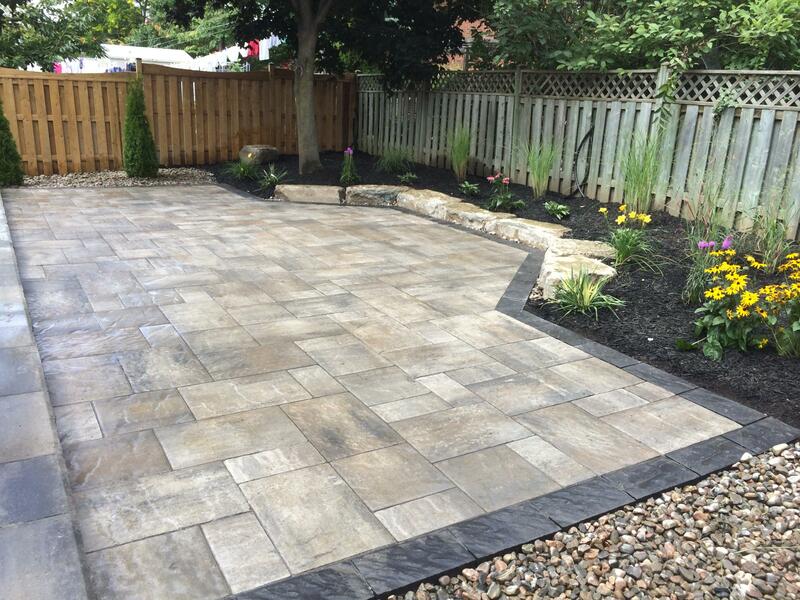 We take pride in providing high quality patio designs and other landscaping jobs in Nobleton, Ontario. 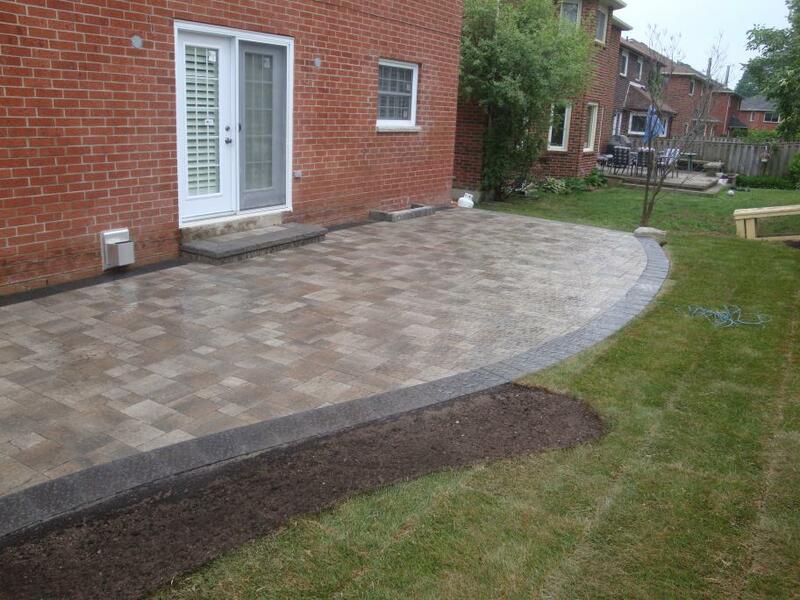 For the best interlocking brick walkways in Nobleton you should only hire the service of a reputable landscaping contractor. We specialize in landscaping design and build some of the best interlocking brick walkways available. 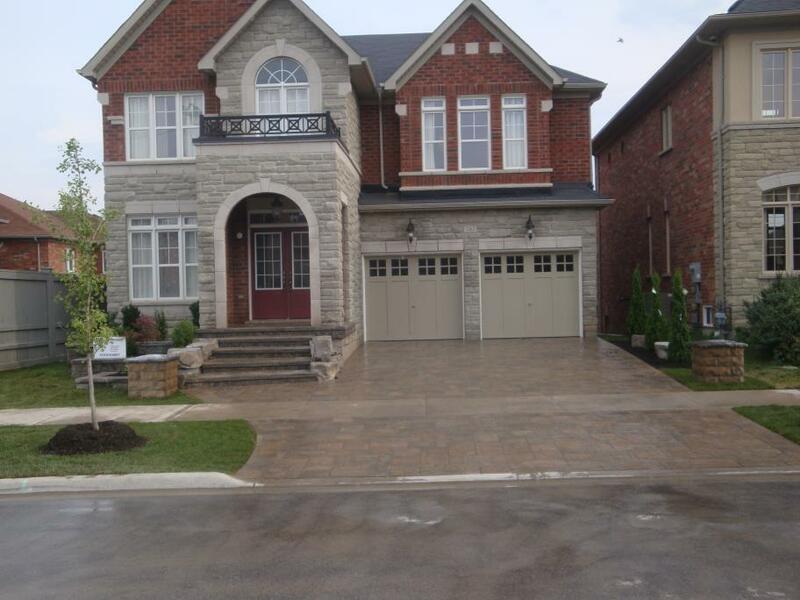 We have developed a reputation as a leading hardscaping company in Nobleton and our goal is to help our clients realize their dreams. 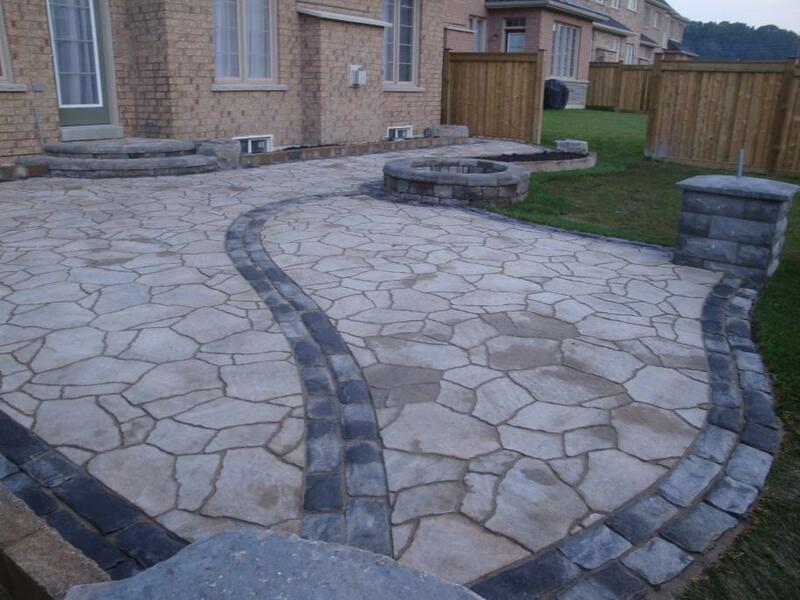 Our hardscape designs are trusted by clients all over Nobleton and the surrounding area. When designing a hardscape for your home you must consider the different slopes of your property’s landscape. A slope gives us a chance to create different ground levels using retaining walls. We build retaining walls that withstand our extreme Canadian weather without shifting. 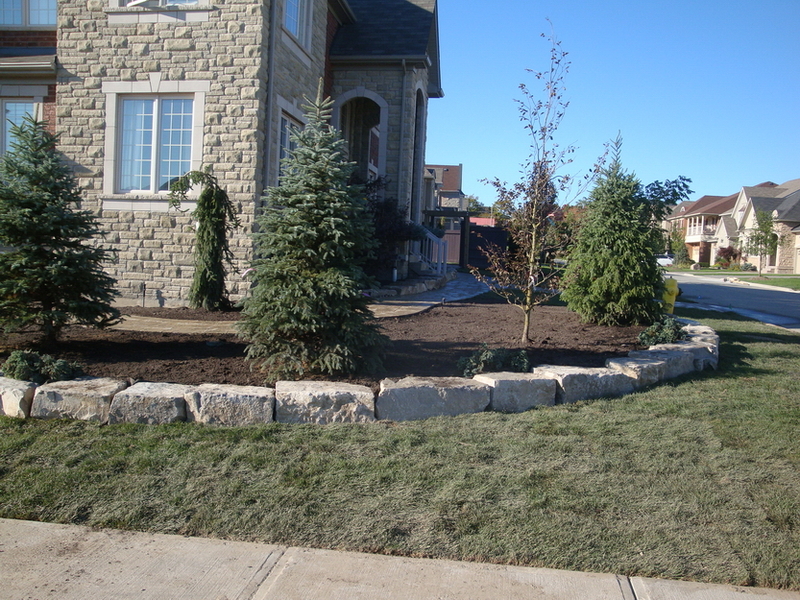 As a top landscape contractor in Nobleton, Ontario we ensure that there is proper drainage behind our walls so that the increased weight of wet soil or heaving due to frost does not threaten the retaining wall. 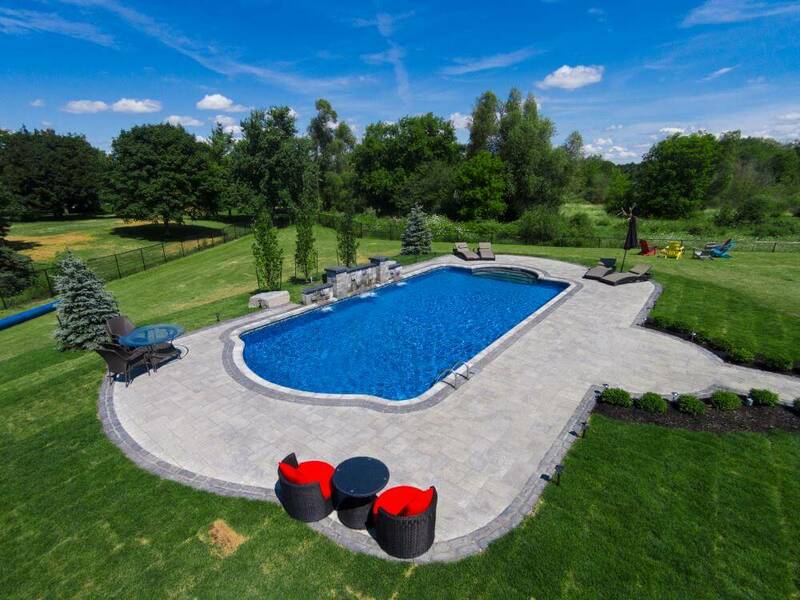 Our landscaping design service will help you get the most suitable and the most beautiful natural stone design in Nobleton as we are pioneers in the industry with many years of experience. One of the best materials for your backyard patio is flagstone because of its durability and rich colors. Flagstone patios have a very natural and organic look and they create a soft and cozy atmosphere for your landscape. 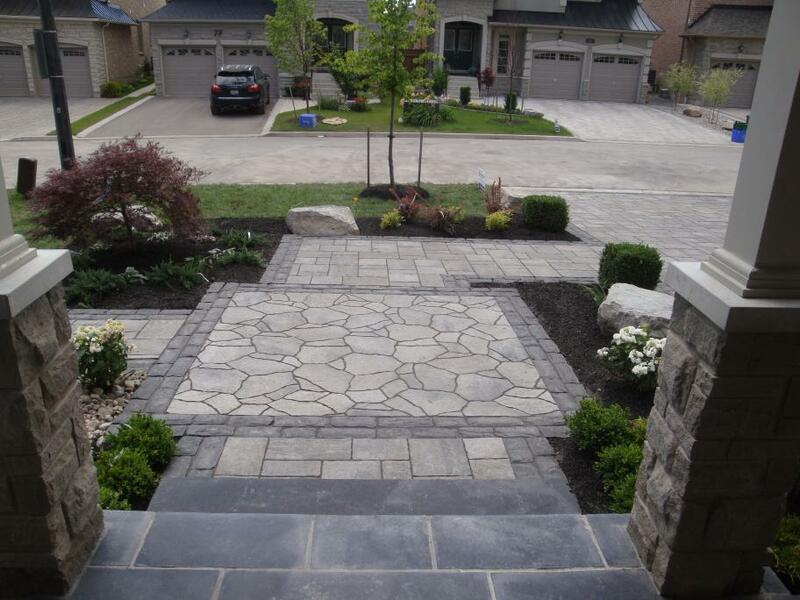 We provide custom landscape design & installation services in Nobleton, ON. Let us create a one of a kind landscaping design for your property. When considering your landscaping design ideas, you will literally have hundreds of options to choose from. You can have a beautiful pool with a water feature, a cabana with a bar or a cozy seating area with a fireplace that makes your outdoor landscaping look luxurious. As a professional stone landscaping company in Nobleton, we can help you create the space you have always envisioned for your landscape design. If you are planning to add some character to your outdoor living space, you need to consider landscaping design and determine which options are best for your Nobleton property. 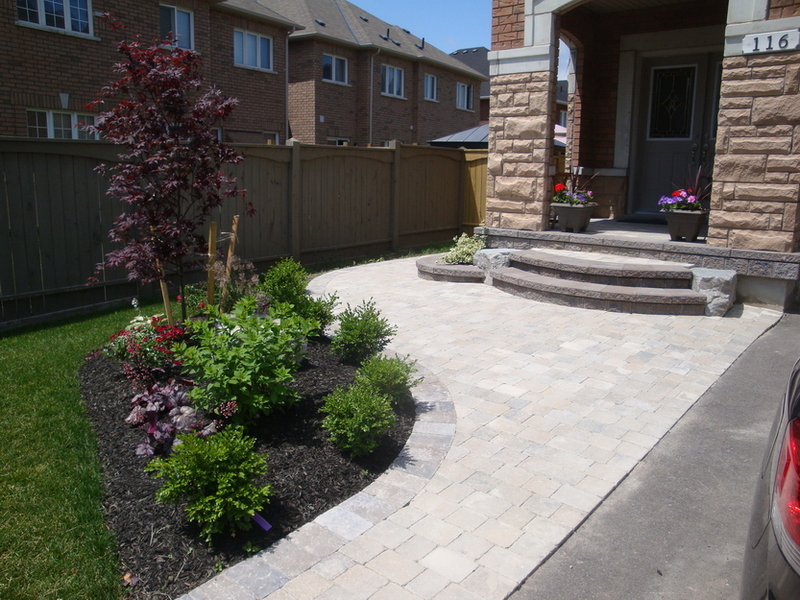 If you are looking for the best landscaping & hardscaping services in Nobleton feel free to contact us. We can provide an impressive hardscape landscaping construction service for your outdoor living areas. As a leader in the landscaping industry we strive to deliver high quality, cost-effective results. Find out why more and more people in Nobleton, Ontario choose us for their landscaping & landscape design needs.